Another impressive work by Neil McDonald, brimming with all of his love and enthusiasm for the game. In a way, the Chess Secrets series from Everyman Chess is midway between a textbook, albeit a somewhat free-ranging one, and a player’s (or rather players’) games collection. Here, we have a slue of ‘power play’ stars on the same bill: 88 games from the likes of Morphy, Alekhine, Bronstein, Geller and, the baby of the bunch, Topalov. A festival line-up to vie with the best, you’ll surely agree. McDonald adds value to this line-up by noting affinities between these five great players, drawing out common themes that arise in their games (e.g. the use of the queen in attack) and noting points of influence (for example, ‘In the footsteps of Morphy‘ is the title given to Bronstein’s famous game versus Rojahn at the Moscow Olympiad, 1956). The chief characteristic of the ‘power play’ style, according to McDonald, is dynamism coupled with a wily use of psychology and a willingness to take risks. It leads to games where tactics and creativity predominate: as McDonald puts it, this style ‘is full of profound, unexpected ideas and stresses the human side of the game’. That there’s a fuzzy demarcation point between a ‘power play’ style and an attacking style of play should be self-evident; and the three players who feature in the Great Attackers title in this series (written by Colin Crouch) could probably appear here too. Along with many classic games, and quite a number of lesser-known gems, there’s the surprising, ‘you have no right to expect this’ content that McDonald always seems to deliver. What do I mean by this? Well, let me draw your attention to the essay on the Morphy-Harrwitz match of 1858, in the chapter dealing with the psychological aspects of preparation. (it takes up all of pages 191-199). Morphy lost the opening two games of that match, but he had the nous to tailor his play in later games so as to accentuate his own strengths, whilst also exposing his opponent’s shortcomings. Or, at any rate, making Harrwitz feel very uncomfortable indeed. McDonald annotates the first four games of the match and shows how Morphy turned around 0-2 to 2-2, and eventually got to 5-2 with one draw, which is how the match ended when Harrwitz threw in the towel. Perhaps Fischer, in part, had this debacle against Harrwitz in mind when he wrote that ‘in a set match, Morphy would beat anybody alive today’. In the same chapter, McDonald gives a fascinating account of how Alekhine beat Capablanca in the 1927 World Championship match at a time when the latter was considered to be invincible. Incidentally, Fischer was less enamoured of Alekhine, and I’ve always relished his remark that ‘it is hard to find mistakes in his [Alekhine’s] game, but in a sense his whole method of play was a mistake.’ Fischer had a visceral repulsion, almost, with regard to Alekhine’s approach to chess. Chess Secrets: The Giants of Power Play ably merits an enthusiastic thumbs-up. You only have to look at the quintet of players on show to know that you are going to be royally entertained, and Neil McDonald’s writing, as ever, is engaging and accessible yet has real substance too. All the many instructive points he makes in the text are validated by the selected games.. This book is as good as it gets. Well-annotated, high quality games provide the richest source of educational material in chess, a fund of instruction and insight. 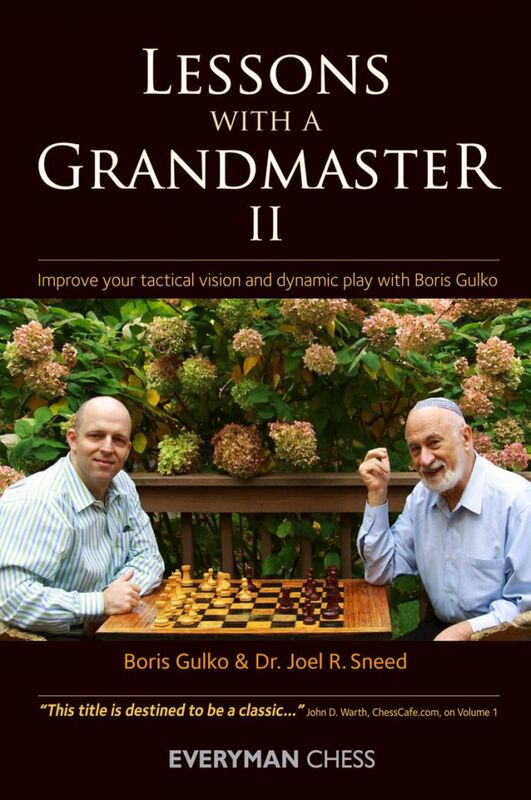 When they are set in a question and answer format as here, with Joel Sneed, psychology professor and keen amateur, asking the questions and Boris Gulko, an acutely insightful, artistic grandmaster answering them, then the instructional value (not to mention the sheer entertainment) is enhanced tenfold. 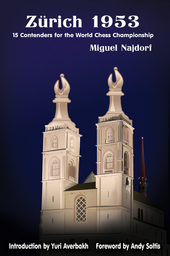 This second volume (there are three in the series so far) places the emphasis squarely on dynamic chess. The topics covered are all about attack: sharp play and risk-taking (e.g. in the form of a speculative sacrifice), the importance of the initiative, how to acquire combinational vision and accuracy in calculation. Develop your chess intuition and trust it, don’t rely solely on brute calculation – that’s the main message Gulko seems to be seeking to get across. Computers can crunch chess moves to their engine’s content, and may one day ‘see everything’, but human beings cannot and shouldn’t be asked to. Our cognitive strengths lie elsewhere, in intuition and judgement, and in using our sense of pattern, proportion and beauty. That’s what works for us. This must, however, be allied wherever possible with accurate calculation. 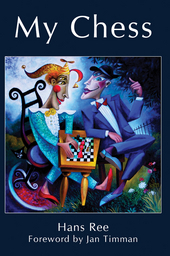 A study of these 30 games of exceptional depth and beauty cannot fail to improve your chess. Najdorf’s book stands right up there alongside Bronstein’s classic book of the same tournament, that is the best thing I can say to convey its regal quality. Just like Bronstein, Najdorf played at Zurich 1953. He finished in sixth place, sandwiched between seven Soviet players: five below and two above. It was Reshevsky in third place who spearheaded the Western challenge, though, ending two points behind the winner (and eventual world champion) Smyslov. The crucial point about Zurich 1953 is that it was an elite tournament before such events became relatively common: 15 leading players participated, none of them weak or decidedly inferior to each other, over a period of about two months. Many of the 210 games that were played are now considered classics, and all except for a very few have moments of great interest. The spectacular queen sacrifice in Averbakh-Kotov; the powerful positional play of Reshevsky-Bronstein, a King’s Indian classic; and the concerted kingside attack that did for Taimanov and won Najdorf the Brilliancy Prize (another King’s Indian, incidentally). Those would be my top three but there many other beautiful games here too. As for Najdorf’s annotations, they are as instructive and insightful as Bronstein’s, though more convivial and conversational. Zurich 1953 is a wonderful book and is highly recommended.